Early Friday morning, the father of Wisner Desmaret picked up his son from jail. A few hours later, Desmaret was back out on the streets in Sarasota. A professional boxer full of life is what may would say about Desmaret in 2015. But in 2016, trouble erupted. Desmaret had more than a dozen run-ins with law enforcement in Sarasota, swapping out boxing gloves for handcuffs. 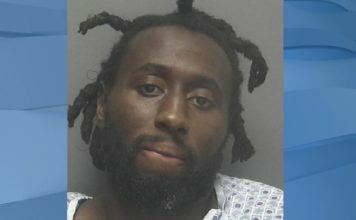 This past Saturday, less than 48 hours after being released from jail, Desmaret is accused of shooting officer Adam Jobbers-Miller in Fort Myers. Desmaret’s father, John, said he was stunned. 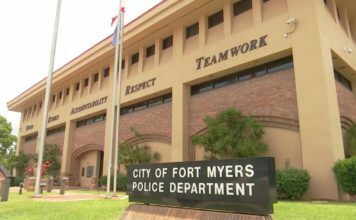 WINK News asked if the Fort Myers Police Department is accusing his son of shooting one of their officers, what do you have to say to that as a father? John Desmaret said their family immigrated to Florida from Haiti when Wisner was a child legally under the U.S. Visa Program. Now fears are growing among the family because they think Wisner’s mental illness got the best of him. “He’s been suffering with that for a long time period, a long period of time,” John said. Wisner has been arrested in Florida at least 24 times. In Sarasota, he’s been in trouble with law enforcement more than a dozen times.